Who should you sue if you were hurt in a car accident? If you have ever been in involved in a car accident, you know just how frightening it can be. It can be especially traumatic if someone has been injured during the course of the accident. Afterwards, you will be faced with a whole host of issues including liability for the accident, payment for medical expenses incurred as a result, and reimbursement for lost wages, to name a few. The good news is that you have a legal right to bring action against the party or parties involved in the accident whether it be a private individual, a business, an insurance company or even a government agency. If you are involved in a car accident that results in physical injury, death, and/or significant property damage, it is important for you to engage the services of a personal injury lawyer who is experienced in litigating serious motor vehicle accidents. An experienced personal injury lawyer will be able to offer advice and assist you in getting compensation to cover any losses that resulted due to the accident including medical expenses, lost wages, and car repairs especially if speeding, drunk driving, or reckless driving were factors in causing the accident. negligence — examples include failure to stop at a stop sign, failure to yield the right of way, not wearing a seat belt at the time of the accident. recklessness — examples include driving while under the influence, driving at an excessive speed. In most instances, determining fault in a car accident is complicated except in the cases involving rear-end collisions and left-turn crashes. Determining fault is usually the job of an insurance adjuster who depends upon police reports containing statements from all parties involved, eyewitness statements as well as physical evidence such as skid marks and vehicle damage, and the state and local traffic laws that may have been violated. Once an accident has been reported, most states have a statute of limitations concerning with respect to the filing of accident-related lawsuits. The law firm of Gregory Yates, located in Encino, has the attorneys with the dedication, experience and skill to help you to maximize the compensation that you receive as the result of a serious motor vehicle accident. 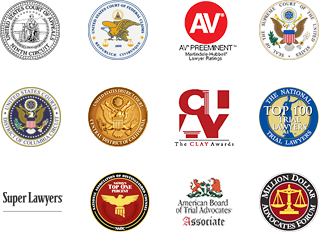 Mr.Yates and his associates have a reputation for such thorough trial preparation that many of his clients are offered generous settlements without the need to a long and costly trial. 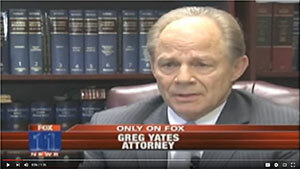 However your case is resolved, you can rest assured that Greg Yates will get you the best possible results. If you are the victim of an accident which has resulted in serious, even catastrophic injuries, you need the service of an exceptional personal injury attorney to make sure that you receive the compensation that you need and deserve. Call our office to schedule a consultation.